October 10th will mark the 100th anniversary of the greatest loss of Irish lives at sea when the “mail boat” (RMS Leinster) was sunk within sight of shore, ten miles off Dun Laoghaire in 1918 just before the end of WW1. Over 500 people were lost when the ship was torpedoed by a German U-boat. How did it happen that a passenger ship was attacked so near the end of the War? Who and what was on board the boat? Why were so many lost so near the shore? Could more have been done? Are there any local connections? Why have we not heard much about this before? What is being done to mark the occasion? Niall O’Reilly has been researching these RMS Leinster questions for a few years after finding out that a relation of his was one of those lost. He will give an illustrated talk about the ship, the people onboard, the attack, the aftermath and his journey of discovery. 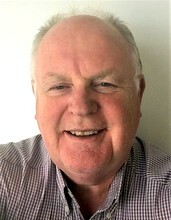 Niall, originally from Malahide, has lived in Skerries for over 40 years and has been a contributor to the Christmas Miscellany and other Society social events. This is his first talk to the Society.